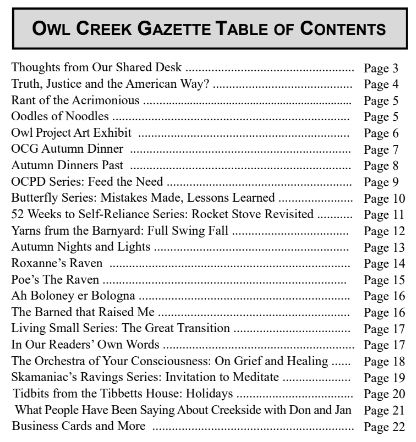 Owl Creek Gazette: The Now Nearly Infamous October Issue of the Owl Creek Gazette is Out ... in print and online! 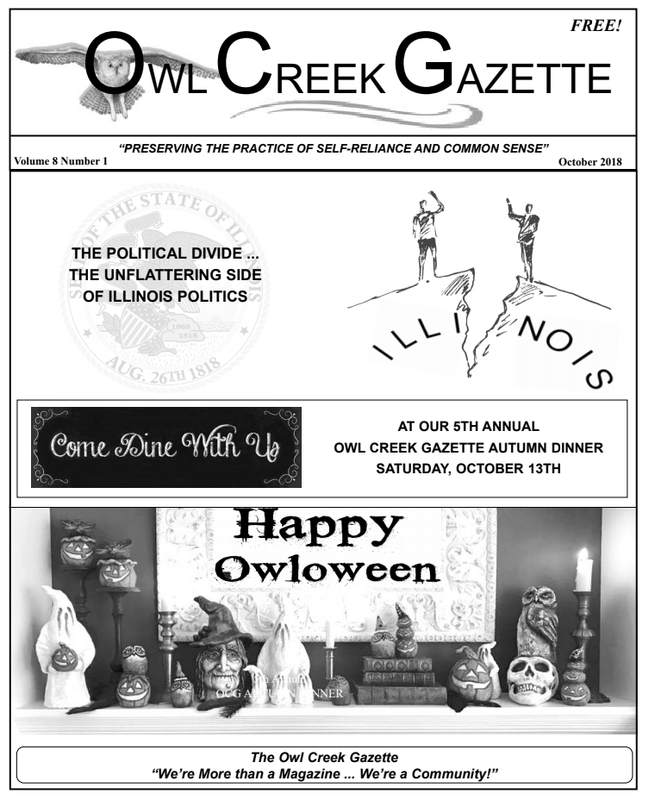 The Now Nearly Infamous October Issue of the Owl Creek Gazette is Out ... in print and online! 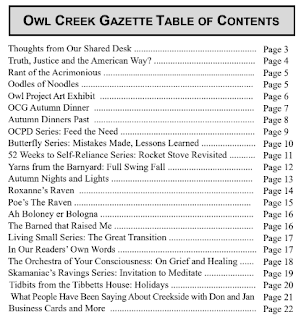 we were rescued from the brink of publishers' despair by our computer whiz son's retrieval of the October issue's content! ... and this one was a whopper! 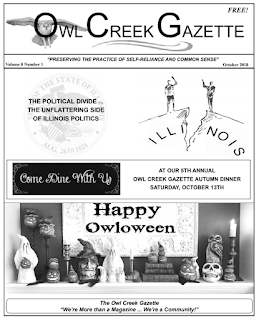 To read the October issue online, click on our Current Issue page.